When I look at children’s books nowadays they sure are representative. You got stories about Hispanic kids with two moms, Asian kids with half siblings, and American Indian kids with gluten intolerances. The other day, while I was looking through my childhood books for a Beverly Cleary novel I used to love (no luck), I came across this book I purchased at one of those Scholastic book sales my school held every few months. In all those years, I probably bought three books from the book sale. Usually I just went to the library, which my mom saw as a free form of childcare. I didn’t get an allowance, which I was perpetually bitter about, and the only way my parents would give me the money was if I brought home the book brochure and made a strong enough case to them. It wasn’t so hard convincing them to let me buy this one. The story wasn’t about a Chinese girl, but it was a start. When book delivery day came, I proudly kept the book at the corner of my desk, wanting everyone to see the book with an Asian protagonist. Sadly, this book was yawn central. I read it once and had no desire to open it again, going back to the stories with modern characters and high school drama I craved. It’s written in a formal, stilted way, as if translated form a foreign language, which is perhaps all you can expect from a book about ancient Japan written by someone not from that background. And while the photos were beautiful, I couldn’t help wishing the people inside were more attractive. Why can’t there be guilty pleasure books with Asian characters? Why does everything have to be based on an ancient fable or heavy moral lesson? I much preferred Beverly Cleary, despite her sterile settings and racial insensitivities. I’m not sure if the publishing world is ready to invest in children’s books with minority characters, whose stories aren’t focused on them being as such. I’ve looked, and haven’t found anything not set in ancient times or modern-day Chinatown. Can’t wait for that day to come. 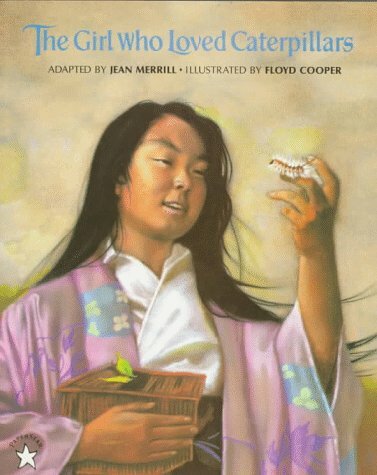 Multidimensional, realistic Asian-American characters were hard to come by when we were kids… the few I remember off the top of my head was the Asian best friend in a Judy Blume book and then Laurence Yep, which I didn’t relate to so much. It’s definitely getting better though… This is more teen focused than juvenile: http://diversityinya.tumblr.com/ , but it’s so cool to see that some things are being published even if I haven’t read them and know if they’re any good or not.. Even though these exist, I do feel like lots of the books pushed through the kids section at work aren’t very ethnically diverse. It’s pretty annoying.